Did you do your homework and go to Burton’s “Standing Sideways” premier last week? If you did, I think you’ll agree that you did yourself a favor. That flick definitely didn’t disappoint. I’m going to go ahead and even say, in my personal opinion, it might have been one of my top picks for the season… so far. If you missed it, don’t fret. Keep reading, because OvR is going to give you a heads up on another screening coming up in BK next week. 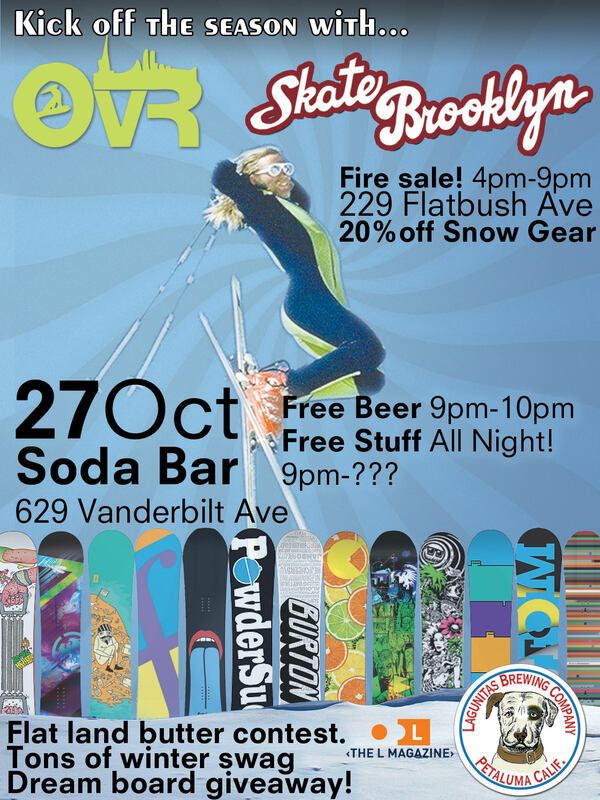 So if you read last week’s post, “What the Rest of October has in Store for You,” I mentioned an event sneaking up on the NY shred scene’s social calendar. 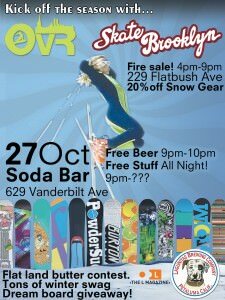 Our boys over at Skate Brooklyn in Park slope are throwing a Winter Stoke Sale Event…. In case the name didn’t tip you off, Skate’s stoked for winter. In celebration, they’ll be offering discounts on next season’s gear on top of huge cuts on last season’s stuff. Check out the Facebook event for more info and don’t forget to RSVP! This entry was posted in Events, Lara's Blog. Bookmark the permalink.